It’s time to do some festive learning. 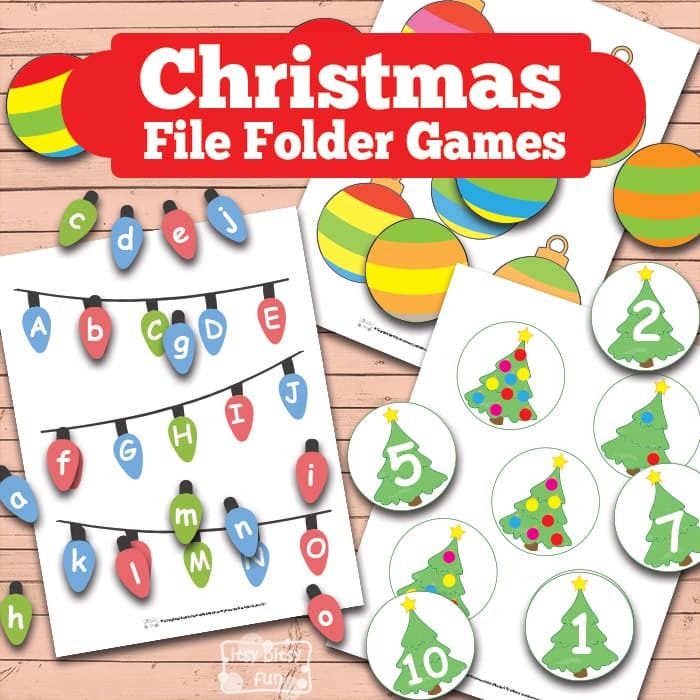 Christmas File Folder Games will help your kids learn letters of the alphabet, colors, shapes and much more the fun way! I’ve got quite a few of them and as Christmas is one of my favorite holidays these really were fun to make (and play with to be honest). Lets do some festive learning. In this game kids have to match upper and lower case letters. Kids have to match the decorations that are colored the same way! This game is all about counting from 1 to 10. Kids have to count the number of decorations on the Christmas tree and match it with a number. If your kids love festive characters they are going to enjoy these mix and match Christmas puzzles as they will be able to put together a Santa, Reindeer, Elves, Snowman and Gingerbread man or just mix and match them to get all kinds of fun characters. Also check these Christmas Color by Number worksheets as they are a great way to practice numbers. 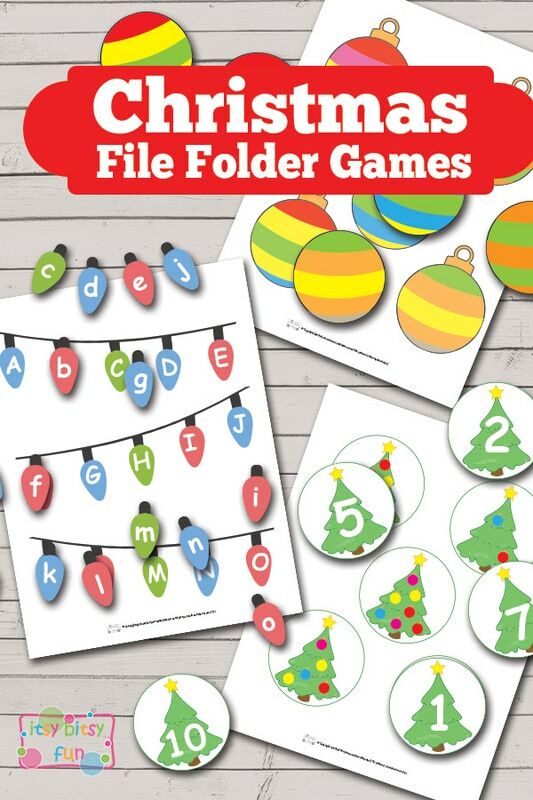 For more file folder game fun check these winter file folder games! Get these free printable Christmas File Folder Game here.